Indonesian President Joko Widodo has postponed his visit to Australia following violence at a protest by Muslims against Jakarta’s Governor. A statement from Presidential office said in Jakarta today that the President has decided to postpone his scheduled state visit to Australia, due to the latest situation and condition in Jakarta. 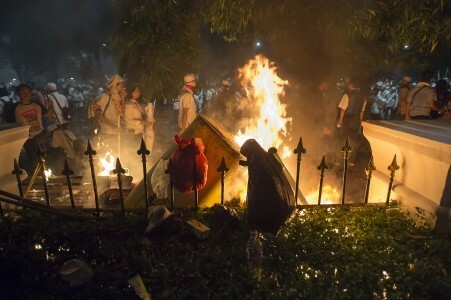 The demonstrators demanded the resignation of Jakarta’s Governor, Basuki Tjahaja Purnama, a Christian, of having insulted Islam’s holy book, the Koran. Indonesian police have said one person died and more than 100 were injured in the clashes. 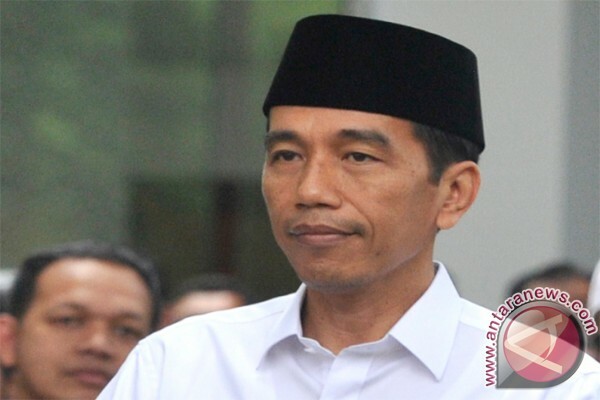 At a news conference held in the early hours today, Widodo blamed political actors for exploiting the situation. A Jordanian military statement said that the trainers were in vehicles approaching the gate of a military training centre at al-Jafr air base when they came under small-arms fire. Jordan is a close ally of the US and a member of the US-led coalition fighting the Islamic State (IS) terror group in Syria and Iraq. US forces have trained a small group of Syrian rebels in Jordan as well as Iraqi and Palestinian security forces. Jakarta saw political tensions heating up on Friday as tens of thousands of people wearing white flocked downtown to join a large-scale rally to demand the criminal prosecution of gubernatorial candidate and incumbent Jakarta Governor Basuki “Ahok” Thahaja Purnama on allegations of blasphemy. Since Thursday evening, tens of thousands of people from Greater Jakarta and other cities gathered at the Central Jakarta’s Istiqlal Mosque to prepare for the rally, which is expected to see around 100,000 people from multiple Islamic organizations swarm Jakarta’s streets. Jakarta Police chief Insp. Gen. Mochamad Iriawan said 21,000 personnel from the National Police, the Indonesian Military (TNI) and the Jakarta Public Order Agency (Satpol PP) had been deployed to protect various venues across the city, including government offices and shopping malls, in anticipation of the rally. Iriawan said he had met with the rally coordinators, including Rizieq Shihab, leader of the hardline Islamic Defenders Front (FPI). “They promised that they would start [the rally] from Istiqlal and deliver orations in front of the State Palace in Central Jakarta,” he said. President Pranab Mukherjee today said that Justice should be speedy, accessible and affordable. Addressing the fourth Retreat of Supreme Court Judges at National Judicial Academy in Bhopal, Madhya Pradesh today President Said: ‘ quick delivery of justice is sine qua non for efficient jurisprudence. Justice delayed is justice denied. Justice should be speedy, accessible and affordable. The President said we have a written Constitution in India, which is a living document, not a relic cast in stone. It is a magna carta of socio-economic transformation.The Apex Court of India has continuously been interpreting the mandate for good governance enshrined in the Constitution on the altar of contemporary situations and challenges facing the country, whether due to global winds of change or from within. “This has not been merely an exercise in interpretation of laws or legal order, much less an exercise in edifying jurisprudence; it has captured the ethos of our developing society as it has evolved from the colonial shackles to a social order replete with the essence of human dignity, of aspirations of a populace maturing into a sovereign, socialist, secular, democratic republic as mandated by the makers of our Constitution” he said . President Pranab Mukherjee has said, judicial activism should not lead to dilution of the separation of powers, which is a constitutional scheme. He was He said, each organ of our democracy must function within its own sphere. Mr. Mukherjee said, the exercise of powers by the executive and the legislature is subject to judicial review, however only check for the exercising of power by the judiciary is self imposed discipline and self restraint. The President emphasized the need of the speedy, accessible and affordable justice. He also expressed concern over pendency of cases in different courts. Mr. Mukherjee said, pending cases must be quickly cleared through multi-dimensional efforts. He said that for speedy justice, use of IT and e-governance can make a positive impact. Addressing the Retreat, Chief Justice of Supreme Court T S Thakur spoke on the objectives of the Retreat. He said, the modern global challenges required modern solutions. Union Law Minister Sadanand Gowda said, the government is revising national litigation policy. He said, the steps are being taken to improve legal infrastructure. In his address, Madhya Pradesh Chief Minister Shivraj Singh Chouhan advised that the Lok Sabha and the state assembly elections should be held simultaneously.